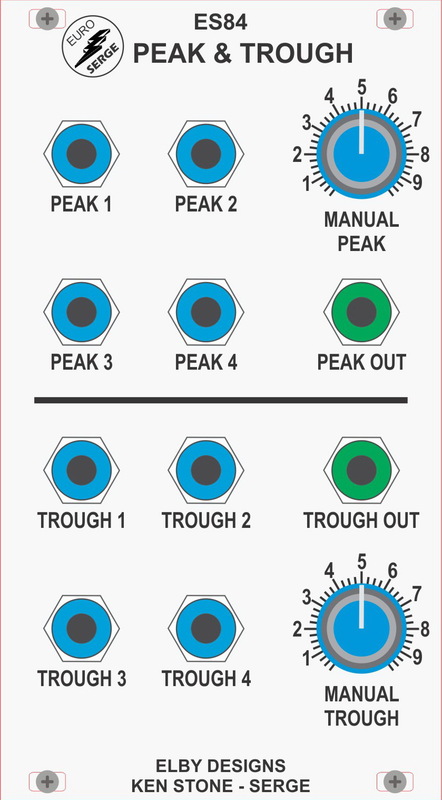 The PEAK section compares the inputs at [PEAK 1] - [PEAK 4] against each other and the [MANUAL PEAK] control, and outputs the highest voltage. In a similar vain, the TROUGH section outputs the lowest voltage of the inputs [TROUGH 1] - [TROUGH 4] and the [MANUAL TROUGH] control. 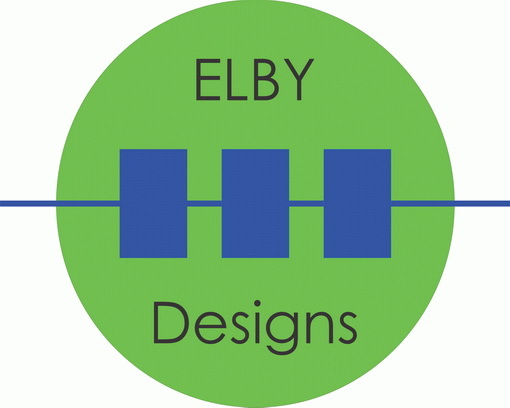 Both sections can be used to combine waveforms, CVs or envelopes in unexpected ways while the PEAK section is often used for combining gates from a sequencer. Both the PEAK and TROUGH operate in the range of 0V to 6V, though in practice, you may find the TROUGH section does respond to input voltages going a volt or two below 0V.